India leads the world in corruption in arms imports and the gap is widening as we import more and more weaponry. But in taking action against the guilty we content ourselves with political bluster and self-defeating bans. 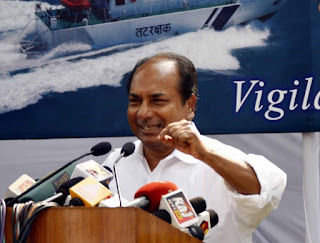 Defence Minister AK Antony’s “strong action” against Italian defence giant Finmeccanica, and its Anglo-Italian helicopter subsidiary AgustaWestland, is aimed at making him sound like a man of steel but is, in fact, a short-sighted reaction that is meant to --- but will fail to --- defuse the opposition’s equally motivated criticism. Mr Antony has unilaterally “initiated action for cancellation of contract for procurement of 12 AW101 helicopters for the use of VVIPs”, by sending AgustaWestland a show cause notice asking why New Delhi should not cancel the Rs 4,000 crore contract signed in 2010. Just three of the twelve helicopters ordered have been delivered so far while India has already paid at least 40 per cent of the contract amount, according to knowledgeable persons, including former IAF boss, Air Chief Marshal Fali Major. There is no proof yet of any wrongdoing. New Delhi has acted on the basis of an investigation report, filed by Italian prosecutors in Milan. The report alleges payment of Euro 51 million (Rs 350 crore) by Finmeccanica to secure the Indian contract. The case has not yet come to trial, though the evidence has persuaded an Italian magistrate to allow the arrest of Finmeccanica head, Giuseppe Orsi. The Italian judiciary has refused to release the investigation report; we know of the case only from media leaks, which the Italian authorities have not denied. Until there is a conviction by the Italian judiciary, or until the Central Bureau of Investigation (CBI) determines prima facie wrongdoing (Antony referred the case to the CBI only last week) any move towards terminating the contract with AgustaWestland would be legally untenable. On Saturday, the company flatly denied wrongdoing and said that would reply accordingly to the show cause statement. On what legal basis then would Antony be proceeding? Might the CBI succeed in actually obtaining proof of malfeasance, if it occurred? Going by its record in such cases, that seems unlikely. The CBI has little expertise on defence procurement, and the agency has repeatedly proved unable to obtain responses to letters rogatory, investigate money trails and hawala networks, or direct investigations towards the influential political figures that are often the recipients of defence payoffs. So what might AgustaWestland do if Antony unilaterally cancelled the contract? If this were the United States --- where the Department of Defense has the financial clout to ensure that companies like BAE Systems have paid $400 million fines for apparent bribery --- AgustaWestland and its parent company, Finmeccanica, might have quietly fallen in line in the interests of future business. But India’s defence ministry does not have the weight to unilaterally cancel such a large contract, even though Finmeccanica subsidiaries like Selex, Wass, Oto Melara and MBDA do substantial business with our import-loving military. In 2009, Selex Sistemi Integrati (a Finmeccanica subsidiary) dragged the MoD to court in 2009, charging that the Tata group had been favoured over Sistemi in a Rs 1,000 crore contract for modernization of air field infrastructure (MAFI) in 30 IAF bases. 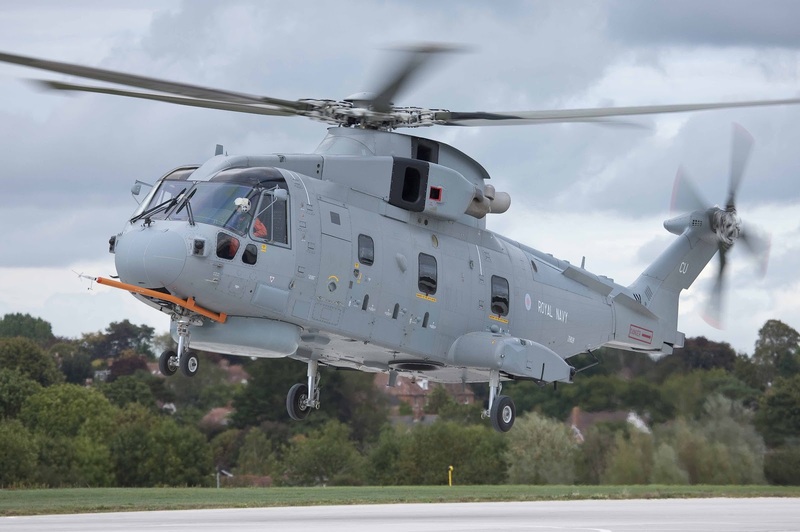 With the AW101 contract four times as large as the MAFI one, AgustaWestland would almost certainly challenge any cancellation by dragging it into arbitration. Since the Indian payment for the AW101 is currently ahead of helicopter delivery, New Delhi would end up a major financial loser by freezing the status quo. And the IAF would not want to be left with the unenviable task of operating two types of VVIP helicopters; and sourcing lifetime spares and overhaul for three AW101s from AgustaWestland. Such embarrassments would continue for as long as India remains a major buyer of defence equipment. The only way out of the MoD’s downward spiral of purchases, scams, cancellations and blacklistings is the systematic and relentless indigenization of defence equipment. But a militarily and strategically illiterate MoD has, in the absence of any counter-narrative, bought into the military’s fiction that if “modernization” were not pursued (i.e. quick buys from overseas), national security interests would be severely threatened. In fact, the most serious challenge to our military preparedness is not any external threat, but the regrettable absence of home built defence systems and our crippling reliance on rapacious overseas suppliers. It is time to end all but the most pressing overseas procurements. The defence ministry needs to form purpose-structured consortiums of companies --- chosen from both public and private sectors --- and task them to develop specific defence systems. For example, the elusive chimera of importing artillery guns must be buried forever. 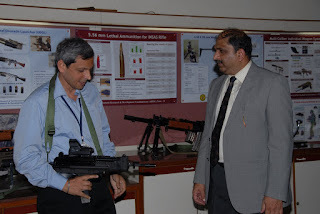 Instead, the government should task the DRDO’s Armament R&D Establishment (ARDE), Bharat Forge, Tata Power and L&T to produce a working gun by 2017. The army must be goaded into working with this coalition, and told its only option is an indigenous gun. The Make category of the Defence Procurement Policy permits such consortiums. Only two defence systems are currently being developed under the Make procedure – a tactical communication system (TCS) and a future infantry combat vehicle (FICV). There should be at least a hundred. If operational preparedness suffers in the short or even medium term, that price must be paid. This strategic decision must be backed by cross-party political consensus, obtained with an agreement that the network of industrial structures that will arise from serious indigenization will be shared across ruling party and opposition constituencies. Ending this spiral of shameful scandals through indigenization is essential for national pride; strategic autonomy; and for building the defence capability that must backstop any bid for great power. 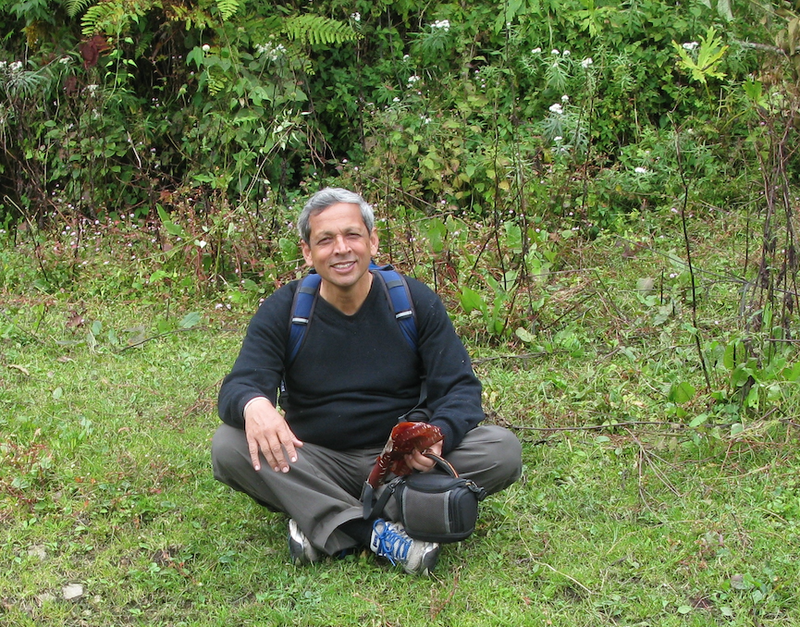 Italian court rejects Indian request for documents. So on what basis will the MoD invoke the Integrity Clause? A day after the defence ministry (MoD) stated that it had “initiated action for cancellation of contract for procurement of 12 AW101 helicopters for the use of VVIPs”, the ministry announced today that it was sending a senior official to Italy to ascertain facts in the case. The legal action initiated by the MoD yesterday amounted to the issue of a show cause notice to AgustaWestland “seeking cancellation of contract and taking other actions as per the terms of the contract and the Integrity Pact.” The Anglo-Italian company has been given seven days to respond. On Wednesday, the MoD had put all payments to AgustaWestland on hold. With the show cause notice on Friday, the MoD declared, “The operation of the contract has been put on hold”. Questions are already being raised over the legal basis on which the MoD was proceeding to cancel the contract, given that the Italian investigation was still ongoing. Prosecutors in that country have filed an investigation report, but the process of trial has not even begun. 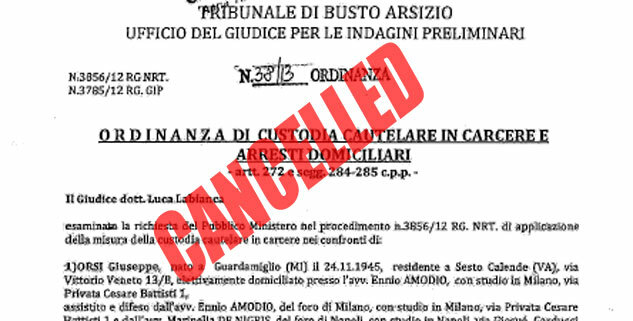 The arrest on Tuesday of Giuseppe Orsi, the CEO of Finmeccanica (the parent company of AgustaWestland, which sold the AW101 helicopters to India) was carried out based on the investigation report. Giuseppe Orsi, the arrested CEO of Finmeccanica, headed AgustaWestland at the time the contract for twelve AW101 helicopters was signed with India. That the MoD’s response is more political than legal is evident from the worry within the IAF and the bewilderment of officials in the ministry’s acquisition wing. Senior IAF officials are concerned at the possibility of the Communications Squadron, having to fly VVIPs like the prime minister and the president with just three AW101 helicopters (which have already been delivered), while a fresh acquisition process is launched for nine more helicopters, typically involving a decade-long delay. The MoD’s acquisition wing is even more perturbed. Officials say that about 35% of the total contract payment of Rs 4,000 crore has already been paid. Since just three helicopters have been received, cancelling the contract at this stage would involve a significant financial loss. MoD officials also point to the obvious difficulties in invoking the integrity clause at this stage when the Italian investigation has not yet even come to trial. So far, no Italian court has found wrongdoing; and the Indian Central Bureau of Investigation (CBI) has only now been asked to investigate the case. “The talk about cancelling the contract is all political. Legally speaking, the MoD cannot invoke the Integrity Clause against AgustaWestland until either an Italian or Indian court finds wrongdoing,” says a top IAF officer. On November 4, 1977, Prime Minister Morarji Desai was flying from Delhi to Jorhat in an Indian Air Force (IAF) Russian-built Tupolev-124 jet, when the ultimate emergency happened: an aircraft with the PM on board lost power, descending dangerously close to the ground and threatening to plough into the Brahmaputra plain. The pilot, Wing Commander Clarence D’Lima, and four other crewmembers nursed the aircraft along, struggling to keep it airborne as they lined up for the approach to Jorhat airfield. They almost made it; just short of the airfield, the aircraft hit some trees and smacked onto the ground heavily. Tragically, all five crewmembers died while making that landing but, thanks to their skill, Morarji Desai walked out of the aircraft unhurt. That is the world of the IAF Headquarters Communication Squadron, which operates from an innocuous corner of Palam Airport in New Delhi. Formed in January 1947, the Comn Squadron, as it is referred to, has flown not just Indian prime ministers, presidents and top cabinet ministers, but also dignitaries like Nikita Kruschev, Boris Yelstin, Chou En-Lai, Nelson Mandela, Mother Teresa, Jaqueline Kennedy, the Shah of Iran, Ho Chi Minh, the Dalai Lama, Marshal Josip Tito, Kofi Annan, John Major, Princess Anne and Ranasinghe Premadasa. Starting with the venerable Dakota, the Comn Squadron --- whose Pegasus crest bears the motto “Seva aur Suraksha” --- has flown twelve different types of aircraft. After a decision in the late 1990s that the old aircraft in its fleet were unsafe, it now flies a world-class fleet that includes five Embraer-135 BJ Legacy business jets, bought for Rs 750 crore, which entered service in 2005-06 (12 passengers, 5700 kilometers range); and three Boeing Business Jets, bought for some Rs 1,000 crore, which entered service in 2008-09. These aircraft include the latest electronic protective equipment and anti-missile counter-measures, of the kind that protect the US president when he is aboard Air Force One. While the business jet purchases gave rise to bitter complaints about “pampering VIPs”, it is the Comn Squadron’s third aircraft that has created the greatest storm --- the purchase of 12 AW-101 helicopters from Anglo-Italian company, AgustaWestland. The Euro 556 million (Rs 4,000 crore rupees at current exchange rates) contract, signed in 2010, is for eight helicopters in the VIP configuration and four “non-VIP” helicopters of the same make for carrying security personnel and equipment. With just three of these helicopters having been delivered so far, the contract has juddered to a halt. On Tuesday, Feb 12, Italian prosecutors in Milan arrested Giuseppe Orsi, the chairman and chief executive of Finmeccanica, that country’s second-biggest corporate entity, which reported first half revenue in 2012 of Euro 8 billion, and which employs 70,000 workers worldwide. That day Italian investigators also raided the Milan offices of AgustaWestland, a subsidiary of Finmeccanica. At the heart of the investigation was the question: did senior executives violate bribery and corruption laws in pushing the sale of helicopters to India? The allegations relate to the period from 2010, when the contract was awarded --- and when Orsi was the CEO of AgustaWestland, --- until December 2012. Berlusconi’s intervention on behalf of Orsi illustrates the real nature of the ongoing Italian investigation, which is actually about politics rather than business ethics. With Italian elections due next fortnight, Berlusconi --- heading the People of Freedom (PDL) party --- hopes to become kingmaker at the head of a right-of-centre coalition. For that, he has re-established an old alliance with the right-wing party, Lega Nord (Northern League), which hates immigrants to Italy as much as it hates the country’s “corrupt and lazy south”, which supposedly feeds off the hardworking north. Giuseppe Orsi, the arrested Finmeccanica chief, is known to be close to the Northern League. For the Italian government, therefore, the central problem with the payments allegedly made to middlemen in India is not that there was bribery involved. Rather, it is the belief that Euro 10 million from the money earmarked for corrupt Indians was funneled back to the Northern League. In other words, the Italian government is incensed that Finmeccanica used some of the money (legitimately) charged off for bribing Indian officials in the AgustaWestland contract, for (illegitimately) funding a domestic political party, the Northern League. On Tuesday, the backwash from this Italian political drama flooded Indian television screens when the news broke of Orsi’s arrest. Since last year, sporadic newspaper reports, notably in The Indian Express, have highlighted the ongoing Italian investigation, causing the defence ministry (MoD) to periodically ask the foreign ministry (MEA) and the Indian Embassy in Rome for information. But there was little real follow-up from the MEA; and the MoD itself seems to have been taken by surprise at the ferocity of the Indian media’s coverage of this apparent scandal. Providing a focus to the media’s fury were Italian investigators’ allegations that a former IAF chief, Air Chief Marshal Shashindra Pal Tyagi, had been named in the Italian investigation report as one of the alleged beneficiaries of Italian largesse. Tyagi, it was alleged, received money through three improbably named male cousins: Julie Tyagi, Docsa Tyagi and Sandeep Tyagi. Jumping feet-first into the blame-game was the political opposition, particularly the BJP, which wasted little time in pointing to “the Italian connection”, a thinly disguised swipe at Congress President Sonia Gandhi. It may be a leap of logic to compare Finmeccanica’s alleged payoffs to the 1980s Bofors scandal as the BJP has inevitably done, but there are similarities in how both cases draw attention to the arms dealer networks that flourish in New Delhi, in flagrant violation of the government ban on arms middlemen. In addition to long-existing networks with names like Khanna, Nanda and Choudhrie, foreign agents have flourished for decades, fatting on the capital city’s cocktail circuit in apparent disregard of visa regulations or immigration controls. If Ottavio Quattrochi attained eternal infamy during the Bofors investigations, two expatriates, Swiss-American citizen, Guido Haschke, and British citizen, Christian Michel, have been named by Italian prosecutors as key players in bribing Indian officials. Christian Michel, who runs Panama-registered Keyser Incorporated, has never bothered to hide his profession. In 2004, he actually sued French aviation company, Dassault, for failing to pay him commission in New Delhi’s Euro 350 million purchase of ten Mirage-2000 fighters in the year 2000. The French court threw out his lawsuit, ruling that his agreement with Dassault had expired two years before the deal was concluded. Also in the spotlight is Carlo Gerosa, an Italian who runs a company based in Tunisia. According to the Italian investigation, a sum of Euro 41 million was to be paid to these three agents, funneled in from Tunisia against Indian invoices for software services by Chandigarh-based firm, Aeromatrix. That amount was later raised by Euro 10 million, with this additional amount diverted to the Northern League in Italy. For Defence Minister AK Antony, whose political career rests on a foundation of probity, the AgustaWestland allegations are a serious challenge. On Friday the MoD issued an unprecedented 2,100-word “factsheet”, conveying the message that the key decisions that led to AgustaWestland winning the contract were taken by the NDA government in 2003, and by his predecessor as defence minister, Pranab Mukherjee, in 2004-05. One of the key decisions that brought the AW-101 into reckoning was: lowering the requirement of operational ceiling from 6,000 metres (19,685 feet) to 4,500 metres (14,750 feet). The factsheet explains in chronological detail that the decision was taken in 2003 by the Principal Secretary to the NDA prime minister, who happened to be the all-powerful Brajesh Mishra. It was Pranab Mukherjee, who was defence minister from 2004 till October 2006, who increased the numbers from eight helicopters to twelve. Interestingly, the MoD factsheet conveys the undisguised impression that the foreign ministry (MEA) dragged its feet in pursuing the case with the Italian authorities. In February 2012, “MoD sought a factual report in the matter from our Embassy in Rome.” It wrote again to the embassy in Rome in April 2012, following which the embassy made a formal request to the prosecutor’s office in Naples. Again in October, the MoD took up the matter with the MEA, noting in the factsheet that it was willing to take action even on the basis of press reports. However, clearly, the Italian authorities were blocking Indian requests and the MEA was unable, or unwilling, to press them harder. Following the arrest of Giuseppe Orsi on Tuesday, the MoD referred the case to the Central Bureau of Investigation (CBI) for action. The “Integrity Pact”, which is mandated in the Defence Procurement Procedure (DPP) in overseas defence contracts, permits the MoD to cancel a contract, recover payment, blacklist a company and take penal action against a vendor. The MoD says, “Government is determined to take all possible legal and administrative action against the guilty parties.” For now, Finmeccanica and AgustaWestland maintain their innocence. After Orsi’s arrest on Tuesday, a statement said, “Finmeccanica confirms that the operating activities and ongoing projects of the Company will continue as usual.” But with the CBI now on the case, the company is under a dark cloud in India, as in Italy. With the opposition threatening to disrupt the budget session of parliament over allegations that kickbacks were paid in India in the 2010 purchase of 12 VVIP helicopters from Anglo-Italian company, AgustaWestland --- and the BJP stating that this had the “makings of a second Bofors scam” --- the defence ministry (MoD) has issued a detailed brief that makes public the facts in the case. Such a detailed brief is unprecedented from the MoD, usually the most opaque of ministries. According to the release, the NDA government changed the specifications of the helicopter in 2003. When reports of irregularities began appearing, the MoD urged the MEA to take action, but the MEA said it was constrained by Italian legal processes. According to the MoD, the process of procuring a new fleet of helicopters for VVIP travel began in August 1999, when the IAF pointed out that the old Russian Mi-8 helicopters in its Communications Squadron (which pilots VVIPs) could no longer operate at night and in bad weather, and to helipads above 2000 meters (6500 feet). To identify new helicopters, the MoD floated a global tender in March 2002 for eight helicopters, mandating that they should be able to operate up to 6000 metres (19,685 feet). While four vendors submitted tenders, just one --- Eurocopter’s EC-225 helicopter --- met all the conditions laid down. At that stage, as Business Standard first reported (“VVIP helicopter deal comes under CBI scanner”, Feb 13, 2013; and “Brajesh Mishra loosened norms that let AgustaWestland in: Tyagi”, Feb 14, 2013) Prime Minister Atal Bihari Vajpayee’s office (PMO) decided to loosen the specifications, a decision that led to AgustaWestland winning the contract seven years later. Accordingly, the IAF, NSA, SPG/PMO and MoD consultatively framed out fresh operational requirements (ORs) from March 2005 to September 2006. They also decided to add 4 helicopters in “non-VIP configuration” to the 8 helicopters in VIP configuration “for security reasons”. Business Standard understands that the SPG argued for four more helicopters for carrying additional security personnel and equipment. 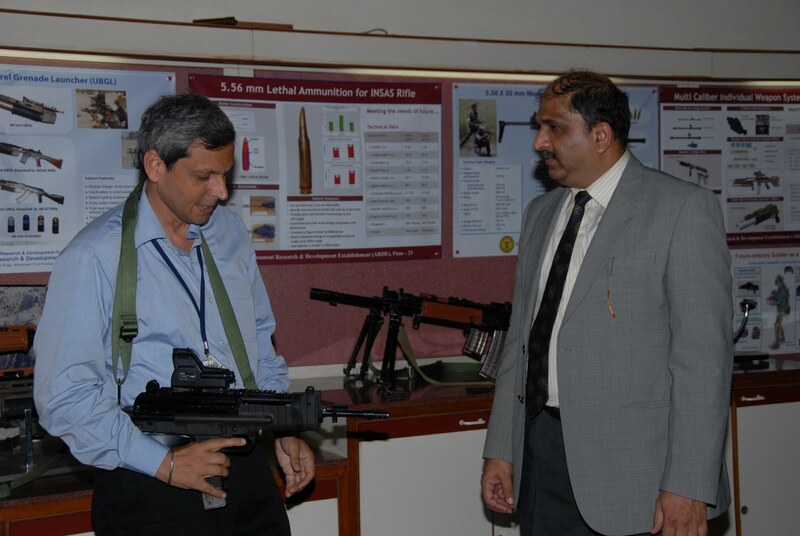 By then, the Defence Procurement Procedure of 2005 (DPP-2005) had come into effect. Under its provisions, the Defence Acquisition Council (DAC) sanctioned the procurement of 12 helicopters on Jan 03, 2006, under the “Buy” category. A global tender was floated on Sept 27, 2006, which mandated that the supplier would have to fulfill 30 percent offsets. Since Rosoboronexport did not deposit earnest money, or a signed Integrity Pact, “their Techno-Commercial offer was not accepted,” says the MoD. Only the Sikorsky S-92 and the EH-101 were called for field evaluation trials. [The AgustaWestland helicopter was called the EH-101 till 2006-07, but known as the AW-101 thereafter]. From Sept 19, 2008 to 21 Jan 2009, the Contract Negotiation Committee (CNC) negotiated the terms of the contract with AgustaWestland. During this period, Air HQ, recommended inclusion of Traffic Collusion Avoidance System (TCAS-II) and Enhanced Ground Proximity Warning System (EGPWS) for all 12 helicopters and SPG/PMO recommended inclusion of Medevac System for 8 VVIP helicopters. Accord to the MoD release, “The CNC, thereafter, recommended conclusion of the contract at a negotiated price of Euro 556.262 million.” This is just under Rs 4,000 crore at today’s exchange rate. The Cabinet Committee on Security (CCS), the final approving authority for such contracts, approved the purchase on Jan 18, 2010. The contract for the supply of 12 AW-101 VVIP helicopters was inked with M/s AgustaWestland, UK on Feb 08, 2010. The MEA responded that the “matter had been taken up with the Italian side and the position conveyed for the need for ‘reliable information’, for “news reports alone could not be the basis for the Ministry of Defence to make any preliminary determination”.